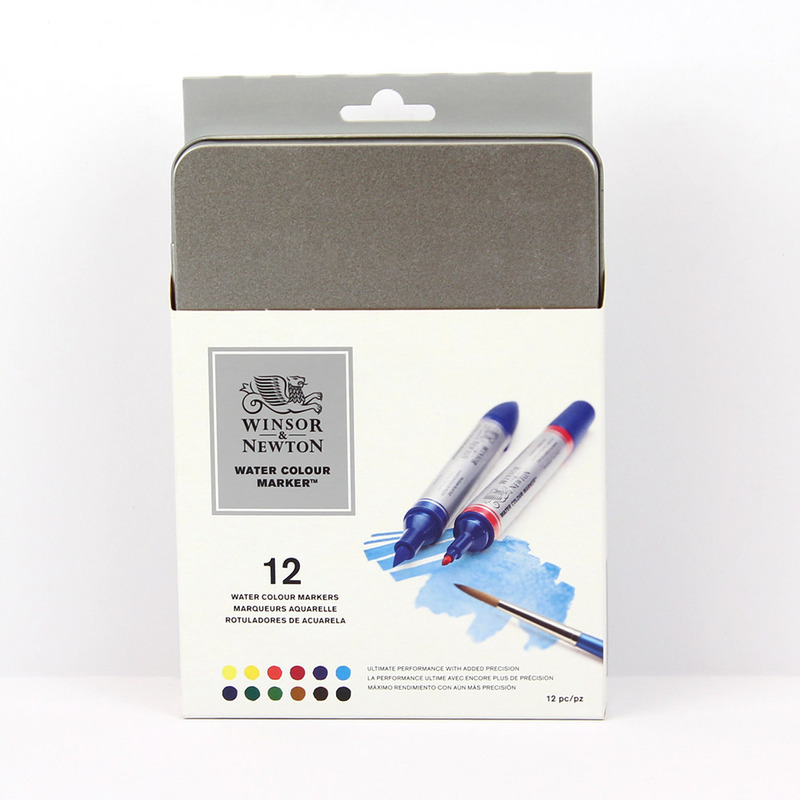 A great set to get you started with Winsor & Newton's new watercolour markers. 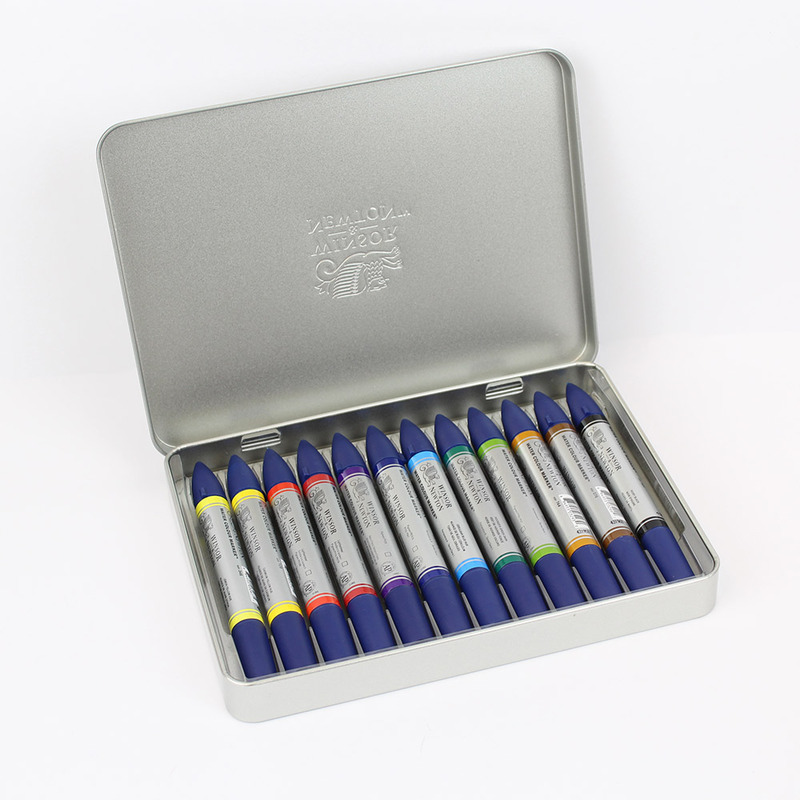 Available in a set of either 6 or 12 markers in a metal tin box. the claim that these felt tip pens act like watercolour and can be colour washed etc is completely untrue. Once on the paper you can scrub at them with water and will be lucky if you get even a faint wash of colour. Ordinary, cheap felt tips give more colour than this. 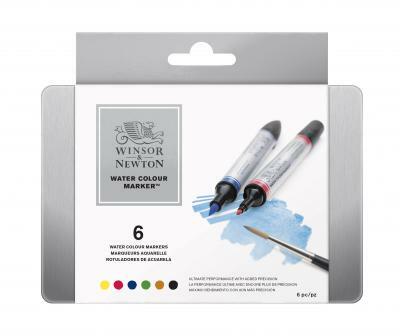 Very disappointed and thinking of sending them back to Winsor and newton with a complaint. Sorry you had trouble with the pens. I have checked with WInsor and Newton and they advise using their specially designed Watercolour Marker Pads.